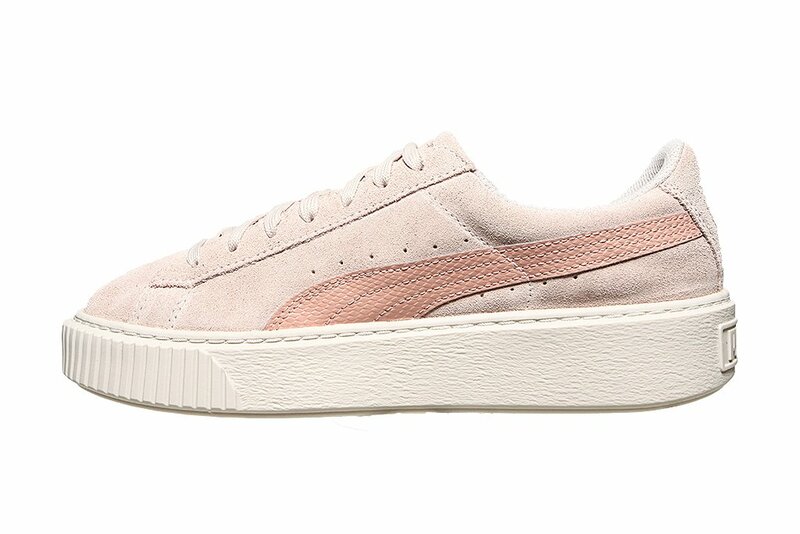 The Puma Suede Platform SNK Jr 363906-06 in the pearl and peach colorway. 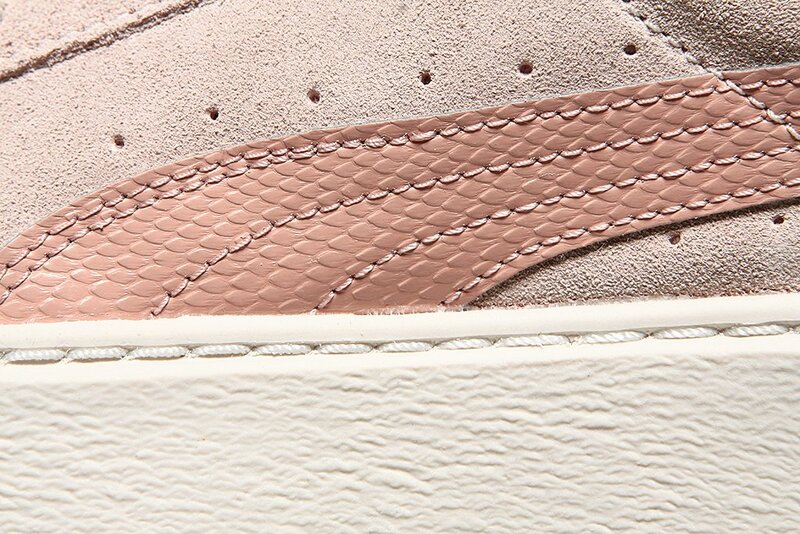 The sneaker is made of suede and synthetic material on which we can see a gold Puma logo. 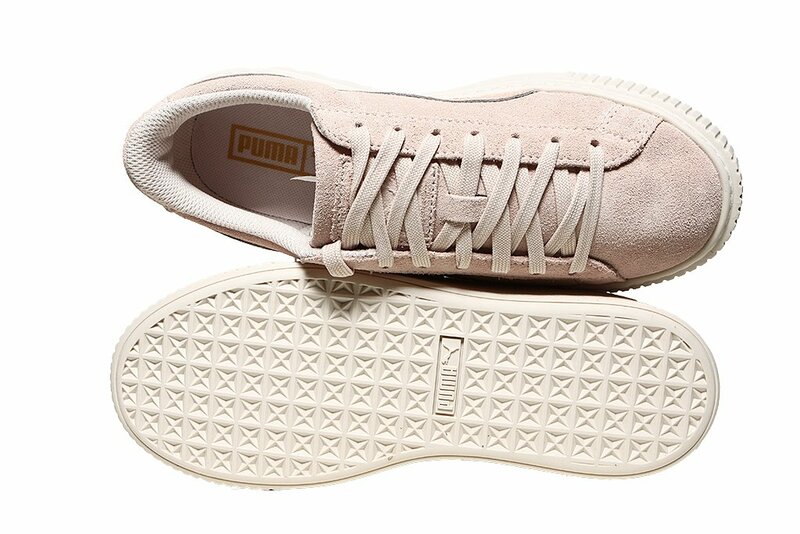 The whole construction is sitting on a thick platform outsole. 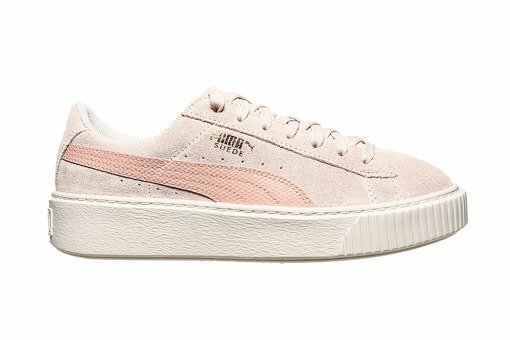 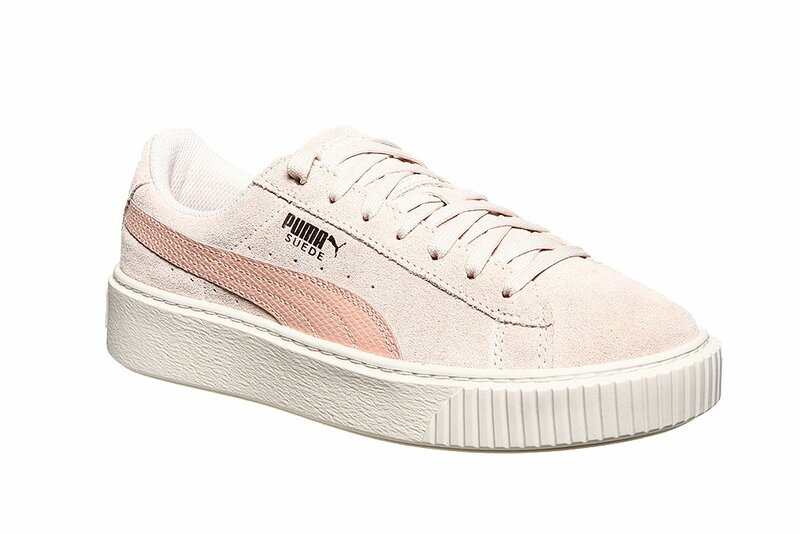 Puma Suede Platform SNK Jr. (363906 06) is a proposition for women who see the hidden potential and beautiful feminine style of this iconic shoe that will surely attract the attention of others. 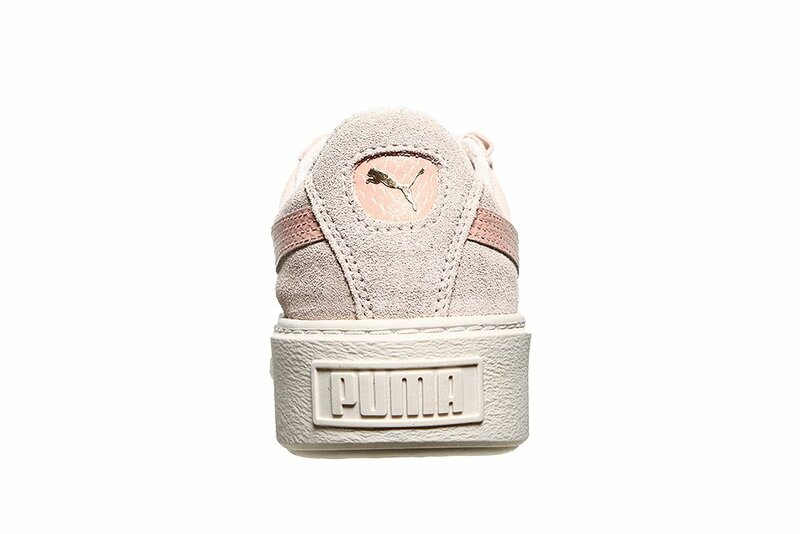 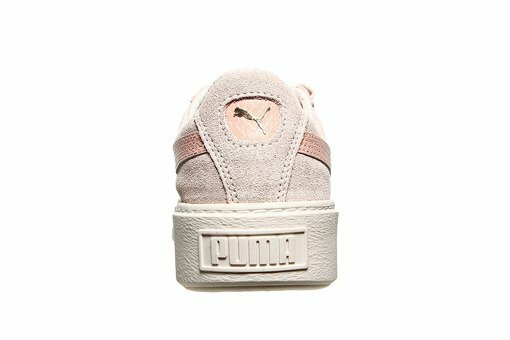 The sneaker is crafted from suede that was reinforced with synthetic material, from which the characteristic Puma logo on the side was cut from. Compared to its predecessors, the Suede Platform shoes have a slightly higher sole, thanks to which the foot is well cushioned. 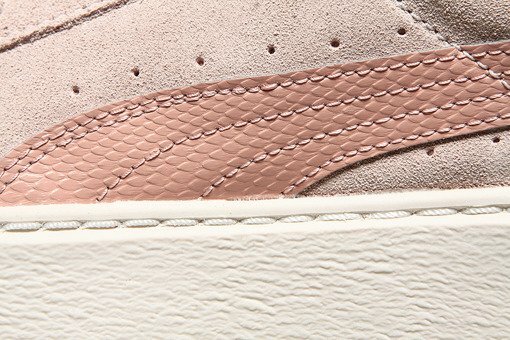 The rubber sole in pearl color gives an urban appearance to the construction, creating an interesting combination with a peach and beige upper.